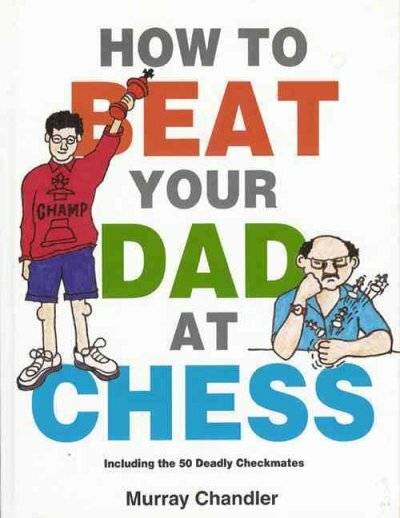 A frequent question asked by parents and novice chess players runs along the lines of “Coach Miguel what is the best book for my son/daughter that is just learning chess”? I think that the Chess Books for Kids Series by Gambit Publications a good start for any parent looking to help his/her kids to learn the fundamentals of chess. 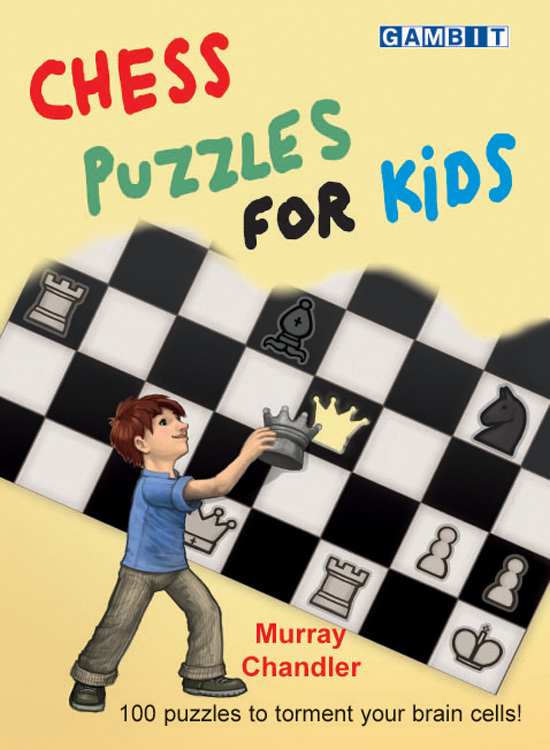 The chess books for kids series are five books named, ‘Chess Opening for Kids‘ Chess Puzzles for kids, How to bear your Dad at Chess, ‘Chess Tactics for Kids’ and ‘Chess Endgames for Kids‘ . The books are systematic, developed by reputable authors and built to last. All five books have an introduction describing the algebraic chess notation and the standard chess symbols. More importantly, all the volumes follow a systematic approach, from simple to complex. The books are structure to be friendly with homeschool kids, school teachers that lead a chess club and parents in general. The reader only needs to know how the pieces move and the basic rules of chess to successfully engage any of the books in the series. The books are ideal for inexperience, but enthusiastic parents, teachers and ambitious students that want to improve their chess skills. The introduction in each book explains VERY IMPORTANT concepts to use the book and to make progress in chess. Please read it mindfully and do not skip it. The authors explain concepts like how to study chess tactics or how to improve your chess thinking process. Developing players will benefit the most from learning how to study tactics systematically. Especially, today with the boom of online free tactical servers that provides hundreds of puzzles, but present the material in a random fashion. After the student master the content in all five books in this series, in and become tactically proficient, then solving random puzzles online may be beneficial. What is the best order to use the books? In my opinion, after a kid learnt the basic rules and how the pieces move the ideal follow is the first chapter of the endgame book by Karsten Muller. This chapter has the fundamental checkmates with King and Queen (rook) versus king. In countless games at the local chess Grand Prix I witness how beginners are unable to win and endgame with and extra queen versus a lonely king. After this key material is cover the lessons on tactics and the initials chapter on chess opening from the other fours book are a good follow up. You can also consider to alternate Chess Tactic for Kids with How to beat your Dad at Chess, because the later provides basic, but key matting patterns. The authors of all five books are high class professionals, teachers and overall experts on the subject the write about. For example, Muller is a well know Grandmaster and author of several endgames books and DVD’s (and couple opening books on the Scandinavian and the Open games). Watson and Burgess are reputable opening theoreticians. Watson’s contribution to chess theory ranges from openings to novel interpretation of modern chess strategy. Watson’s Mastering the Chess Openings series, Secrets of Modern Strategy and Play the French are good examples of his work . In the same line that Watson, Graham Burgess is the author of several opening and game collections books such as the Slav ,the Torre Attack , a recent opening repertoire book and more importantly the NCO Opening Manual. 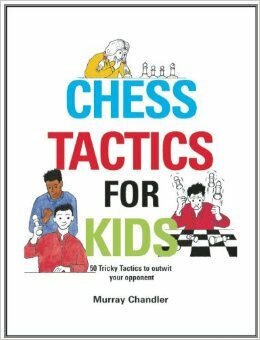 Murray Chandler is known in the US thanks to his book ‘How to Beat your Dad at Chess and several other titles aimed to young chess players. All authors have extensive experience in their fields of expertise. For example, the authors made really good notes on the Scandinavian opening. The authors packed in twelve lines the fundamentals of the Scandinavian, including the 3.Nf3 idea. The comments on the development of the knight to f3 pokes the reader curiosity and open a door to independent study. All five books have a “test chapter” that helps the reader to cement his/her new knowledge. In summary, all five books are recommended and are part of my official training material as a FIDE National Instructor and US Advance Level III Chess Coach. Game collections by masters are great teaching and self improving tools in chess. I remember a conversation with IM Daniel Ludwig after one of our games (I was black in a Philidor defense at a simul) in 2007 about a good book to get better at chess. Daniel reached to his backpack and pulled a heavily used copy of Mammoth Book of the World’s Greatest Chess Games, by Burguess, Nunn and Emms. To be honest, I was expecting a chess informant or a Russian chess book. Daniel’s advise help me to move forward in chess and I regularly use the Mammoth Book of the World’s Greatest Chess Games with my students. Unfortunately, young students and their parents find Burguess’s book too difficult to use. 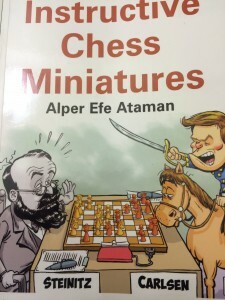 Fortunately, Gambit’s newest game collection, ‘Instructive Chess Miniatures‘ by Alper Efe Ataman fills the previously mentioned gap. 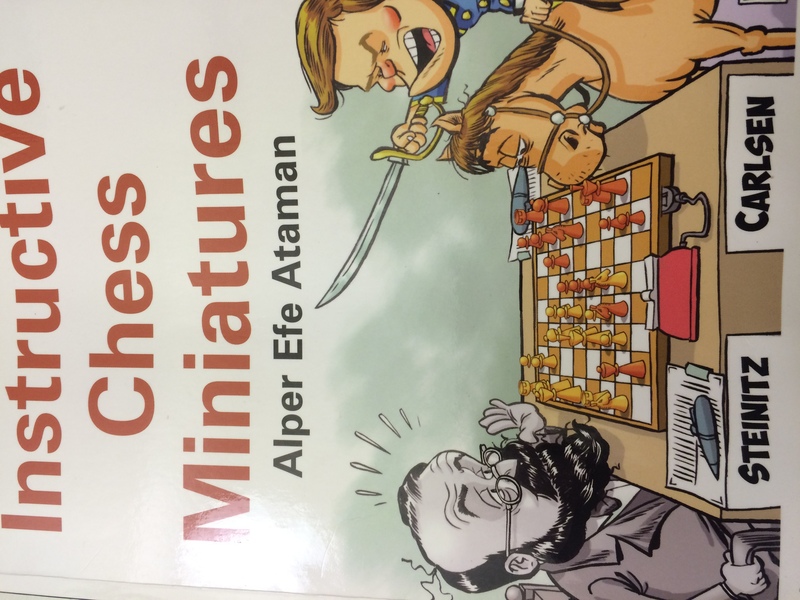 Ataman’s book is user friendly and the book content and level of details fit the learning needs of the very young chess players. Instructive Chess Miniatures has sixty games total with fifty four fully annonated games (four unannotaded supplementary games at the end of the book). Alper Efe Ataman made a great effort to explain complex games to a young audience without being over simplistic. The author is able to introduce important opening concepts as well as the ideas behind a particular set up for black or white in a fluid fashion. In other words, Alper Efe Ataman, uses the right amount of information about the opening at hand so the young kids can graps what is really important. The book is great. I only have a minor comment about the unfair treatment of the Philidor defense. In the book, out of three games black loses all three games! 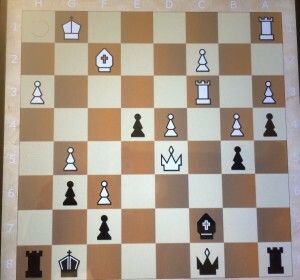 reinforcing the myth that the Philidor is a bad opening for black. I was under that impression too…until the masters in Argentina taugh me more about the Philidor. Out of a Philidor I was able to create one of my best three games as a chess player in Ludwig, D (2400+) – Ararat, M (1718) Simul, Gainesville FL 2007. Looks like the Philidor is losing after 29.Rc3, but then 29…Rxh3 sacrificing a rook on a8 with check, saves the day. The master continued with 30.Qxa8 (30.Rxh3 Qxh3 31. Qxa8+ Kh7 32.Bh4 to vacate the f2 square because Qxe4?? loses to Bh2+ and mate to follow) and after the intermediate check Rh1+, blocking the access of to h1 square to the rook on a1, 31.Kxh1 QxQ the players agreed to split the point.